From preparing to visit somewhere new to getting your passport application through first time, the Post Office is here to help. We really do know a thing or two about travel preparations. Here are some of our best tips so that you can get everything sorted now, relax and get that holiday feeling. Compares prices in 18 of Europe’s most popular beach resorts and discover the average cost of tourist staples. How expensive will your holiday really be? Compare costs at the most popular global resorts. Find out everything you need to know about ePassports with our quick and simple guide. Knowing the right size, format and requirements for UK passport photos will help your passport application to be processed without delay. It is free to apply for a European Health Insurance Card (EHIC). A EHIC entitles you to free and discounted state medical care in the European Union and Switzerland. If you're planning a short trip to the USA then you will need an ESTA (US visa waiver) giving you permission to visit without a visa. Apply for an ESTA today. It’s important to know what vaccinations or injections for Thailand you need to get before you leave home. Make sure you get your passport application or renewal right is first time with Post Office Passport Check & Send. Tick off everything you need on holiday with our handy list of essential travel items. Use our list to help you to pack for your trip abroad. Read our 21 holiday hacks to a stress-free holiday, from booking to perfect packing, this list includes all you need to know when going abroad. Read our quick and simple guide to perfect packing. Find out the latest hold baggage allowances to avoid excess baggage fees. Can I take my tech on a plane? Can I take my pets on a flight? The complete list of men's travel essentials for enjoying your holiday. From clothing to accessories to keeping entertained, we have the complete beach holiday packing list. Read our guide to packing for a cruise to make sure you have everything you need set sail. Planning a break with the kids? Read our family holiday packing checklist for a guide to essential items whether you're skiing or lounging on the beach. If you're planning to swish down the slopes this holiday, check our skiing packing list too make sure you've got all the essentials. Our best advice on going away with your child and helping you to enjoy your holiday as much as they do. Find the best holidays for teenagers using our handy guide. Find out about the best holidays for teenagers going away alone. Follow our guide for women travelling alone, full of tips to help you stay relaxed and confident on your journey. Are you considering booking accommodation through Airbnb? Follow our tips to on keeping safe. Our guide on tips to travelling on your own should give you the extra confidence you need to embrace your holiday whatever you choose to do. Skiing, snowboarding and skating are adrenalin-filled sports, but can also be risky. Take our winter sports quiz. If you're heading off on a ski holiday follow our 10 tips to staying safe on the slopes. If you're considering a trip away, make sure you're protected with Post Office Travel Insurance. Make sure you know how tipping in Spain works. How much to tip on holiday depends which country you are visiting and what services you use. Read on for our guide to tipping etiquette. Whether you want to order your travel money to Click & Collect, on our pre-paid Travel Money Card or conveniently delivered to your home, Post Office has you covered when it comes to foreign currency. 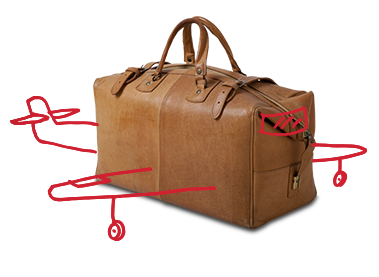 Find out how to claim compensation if your baggage is lost, delayed or damaged. Don't be left out of pocket if your flight is delayed or cancelled. Sometimes the unexpected happens, find out next steps if your airline goes bust. If your holiday company goes bust, you'll need to be aware of your options and next steps. Learn more about the Association of British Travel Agents (ABTA), how it works and what sort of protection it offers to UK travellers. ATOL protection helps offer security to UK consumers booking flights. Wherever you’re going, a little politeness goes a long way. Here’s how to say 'thank you' in 20 different languages. How to communicate with locals? Read out tips to escaping the Christmas chill in sunnier climates and find out where is hot in December. Find out more about what is motion sickness, what are the symptoms, how to prevent it. Many people need assisted airport travel but few are aware of the best way to get it. Learn more with our guide. There may be reasons to get travel insurance for a UK getaway. Use our guide to find out. Notting Hill Carnival is one of the most colourful carnivals in the world, but if you can't make it this year, here are 5 more you might enjoy! Travel insurance can help with loss of property, cancellations, medical costs and more. Find out about travel insurance for Dubai here. Travel insurance is a must in Mexico to protect against loss of possessions, theft and medical emergencies. With the Hanami festival and the Rugby World Cup approaching, there has never been a better time to visit Japan. Make sure you have the right cover. Going a way as a solo female? Here are a few tips from travel bloggers to inspire you. There's more to mountains than skiing and snowboarding! Check out these unusual winter sports. We want you to have the most fun you can on your first ski trip, so take a look at our guide on skiing for beginners.